Review guidance for maintenance personnel, including the minimum equipment lists (MELs), A&P Inspection Authorization renewals and more. 14 CFR §91.213(d) allows certain part 91 operators to fly an aircraft with inoperative instruments or equipment even though the Federal Aviation Regulations generally require that all equipment installed on the aircraft be operative at the time of flight. Airframe and Powerplant (A&P) mechanics who hold Inspection Authorization (IA) may inspect and approve for return to service aircraft and parts after a major repair or alteration and may perform annual and progressive inspections. 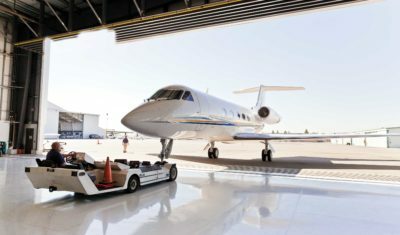 Access to reliable internet on business aircraft is no longer considered a luxury; it is an expected feature that passengers rely on to maximize their productivity. With 98% of aircraft expected to have some level of connectivity within the next 15 years, operators are increasingly seeking cost-effective connectivity solutions. The FAA has formally recognized ASTM's National Center for Aerospace & Transportation Technologies Aircraft Electronics Technician certification as equivalent to formal training when showing eligibility for the issuance of a repairman certificate. Before an item installed under a supplemental type certificate can be included on a master minimum equipment list, the component, system or appliance must be evaluated as early as possible during its certification process. Notice N 8900.440, “Master Minimum Equipment List (MMEL) Policy Letter 98, Revision 1, Navigation Databases and Associated Aviation Safety Inspector Requirements” provides guidance to the FAA’s Aircraft Evaluation Division (AFS-100) and aviation safety inspectors with MEL oversight responsibility, as well as to aircraft operators authorized to use MELs. Review Notice N 8900.440. With the ADS-B deadline approaching on Dec. 31, 2019, NBAA dispels the myths about the process for equipping with this key NextGen technology. In a recent revision to FAA Policy Letter 98 (PL-98) – which provides standardized MMEL relief to operators with out-of-currency navigation databases (NDBs) – the agency determined that expired databases do not meet the definition of “inoperative” equipment, and are not authorized for MMEL relief per 14 CFR. This is the second in a series of articles about the importance of planning early for the January 2020 ADS-B requirement. One of the most pressing issues facing business aviation maintenance technicians, flight departments and MROs right now is how to meet directives regarding positive control of all tools to eliminate incidents and accidents due to tool FOD. Dec. 31, 2019, may seem a long way off, but it’s a hard deadline for operators to equip their aircraft with ADS-B capabilities. Once Jan. 1, 2020, arrives, ADS-B will be required to operate in most airspace over the continental United States. The paint on your aircraft is much more than decorative. Members of the NBAA Paint Forum want aircraft owners and operators to understand that aircraft paint is a complex protective system that requires care and maintenance with the same diligence afforded to other flight components, such as engines and control surfaces. Nonessential equipment and furnishings are those items installed on the aircraft as part of the original certification, supplemental type certificate, or engineering order that have no effect on the safe operation of flight and would not be required by the applicable certification rules or operational rules. A special flight permit, also known as a ferry permit, is a special airworthiness certificate issued by the FAA authorizing the operation of an aircraft that does not currently meet applicable airworthiness requirements but is safe for a specific flight. Travelers demand continuous connectivity while en route from takeoff to landing, and they expect connection speeds to be as fast as those they have at home or in their offices, which puts pressure on owners and operators to make sure their onboard connectivity systems are capable of meeting those demands. Learn how to explain the limitations of inflight Wi-Fi to your passengers in the Quick Turns section of the July/August 2016 issue of NBAA's Business Aviation Insider magazine. Flight departments working to establish internship programs may benefit from the lessons learned from long-running programs such as the one at Nationwide Insurance. Since 2007 the company has introduced select airframe and powerplant students from Columbus State Community College to the maintenance side of the operation. Staffing concerns, lost employee productivity and potential savings in time and cost are some of the common reasons why flight departments are moving toward in-house training for aircraft maintenance technicians and other personnel. Perhaps more importantly, this type of education helps promote a positive, collaborative work environment. Business Aviation Insider magazine's July/August 2015 Quick Turns article explains how advance planning may minimize business aircraft maintenance issues during an extended trip. The world is becoming more interconnected as the rapid advancement in 'connectivity' technologies escalates. Smartphones, tablets and a host of other electronic devices for personal and business use are now commonplace, and as a result business travelers today expect to remain connected whether they are at the office or 40,000 feet in the air. A working group, formed to address the need for improved in-cabin connectivity standards for passengers and crew, has evolved into the Connectivity Subcommittee of the NBAA Maintenance Committee. FAA Acting Administrator Michael Huerta recently said he expects the joint industry-FAA committee reforming FAR Part 23 to recommend a better rulemaking approach that will allow more design innovation and cut certification costs for new light aircraft. March 2, 2012, is the application deadline for NBAA's Maintenance Technical Reward and Career Scholarship (TRACS). A webinar conducted on December 7, 2011, helps aircraft operators determine the right time for outsourcing aircraft maintenance. The FAA has issued a Notice of Proposed Policy that seeks to clarify the definition of actively engaged for purposes of Inspector Authorization initial and renewal applications. A Minimum Equipment List (MEL) is one method aircraft operators may use to obtain relief from Federal Aviation Regulations that generally require that all equipment installed on the aircraft be operative at the time of flight. Depending on the size and type of aircraft, the aircraft may still be airworthy with some specific kinds of equipment inoperative.